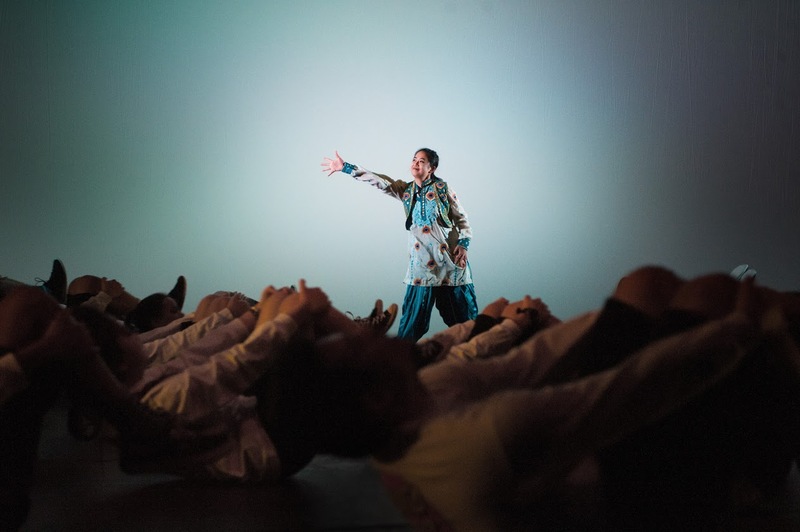 The UCSC Theater Arts Department emphasizes a multi-disciplinarian approach to theater, encouraging exploration and engagement with all aspects of theater production, and education based in both academic and production work. A student majoring or minoring in the Theater Arts will receive a general degree in the Theater Arts. The department does not have at this time official concentrations, with the exception of the Dance Minor. That said, some students do choose to focus their studies and production experience towards developing their skills in a particular aspect, or aspects, of theater, utilizing UCSC Theater Arts curriculum and opportunities. If you are considering such a path for your own undergraduate studies, we encourage you to consult with the Undergraduate Advisor to determine which classes and opportunities are available when, and to plan out your courses. If you are interested in stage management, the department provides a number of opportunities for education and experience. Student stage managers at UCSC are always in demand, and gain a wealth of practical experience during their undergraduate careers. Many student stage managers have found opportunities with local theater companies while in school, and have gone on to successful professional careers. If you are interested in becoming a student stage manager at UCSC, it is highly recommended that you take Thea 12 - Stage Management, as soon as possible. As it is only offered once a year, it is not a prerequisite to doing stage managerial work in the department, but is incredibly helpful for establishing a base of knowledge on stage management procedures and techniques. Taking part in Chautauqua, the annual student play festival, is the next step to becoming a stage manager, as stage managers for Chautauqua are required to attend weekly discussion sections, where experienced stage managers and producton heads walk all Chautauqua stage managers through the various steps and responsibilities of the rehearsal process, right up through tech and production, and are available to answer questions and observe throughout the process. A stage management student will then usually act as an Assistant Stage Manager, or ASM on a few productions, under a more experienced stage manager, and then be given a full production of their own. Thea 12 - Stage Management. Offered once a year in Fall Quarter, taught by a professional Equity stage manager. This course covers the basic and essential responsibilities of a stage manager, procedures, and paper work necessary to successfully stage manage a show from pre-production to post-mortem. Thea 18 - Drafting for Theater Production. Covers the basics of drafting for drawing and reading floor-plans, elevations, sections, etc. for theatrical spaces and set design. Incredibly useful for a stage manager to understand an absent set in the rehearsal room, and be aware of potential staging problems. Thea 50 - Fundamentals of Theater Production. A 2-unit class engaging the student for 50 hours of work on Theater Arts Department productions, via working in the scene or costume shop, on the light hang crew, or as production crew or board op for a particular show. Theater Arts Minors are required to take at least one quarter of TA 50. Theater Arts Majors are required to take at least three quarters of TA 50. This course enables you to both gain practical knowledge and experience in the technical operations of the scenic, costume, and lighting areas of theater, and to gain valuable perspective on the process of a production outside of the rehearsal room. Working as a crew member or board op also gives a student stage manager great insight into the type of communication needed from a stage manager during tech and during the run of the show, from the other perspective. Thea 52 - Basic Stagecraft. Covers information on two- and three-dimensional set pieces and theatrical equipment. Explores project organization and projects, technical graphics, engineering, basic techniques for construction and operation, and more. A solid foundation for overseeing operating of theater and production equipment, and trouble shooting when a technician or artisan is not nearby. It is recommended that stage management students also take introductory and studio classes in the areas of design, directing, and acting. Stage management is the hub of communication, safety, and responsibility for a production, and a stage manager benefits from understanding and speaking as many different theatrical languages as possible, and understanding the production process from multiple sides.